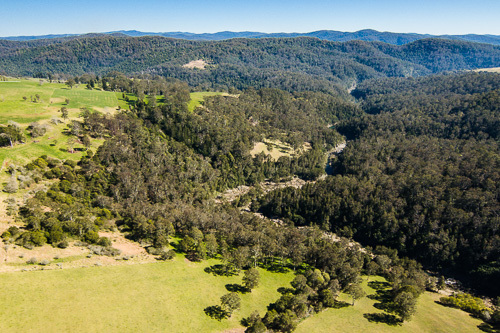 Projects: The Jaliigirr Connecting Communities and Cultures through Corridors Project (C4), Jaliigirr Landscape Connections in the Great Eastern Ranges. Key Partners: Bellinger Landcare, Dorrigo Local Aboriginal Land Council, Envite Environmental. 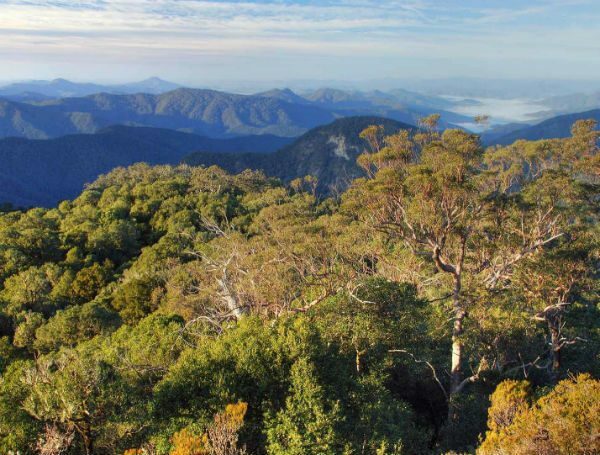 The Gondwana WHA connection links the World Heritage listed Gondwanan rainforests found in Dorrigo National Park with Junuy Juluum National Park and Cascade National Park. 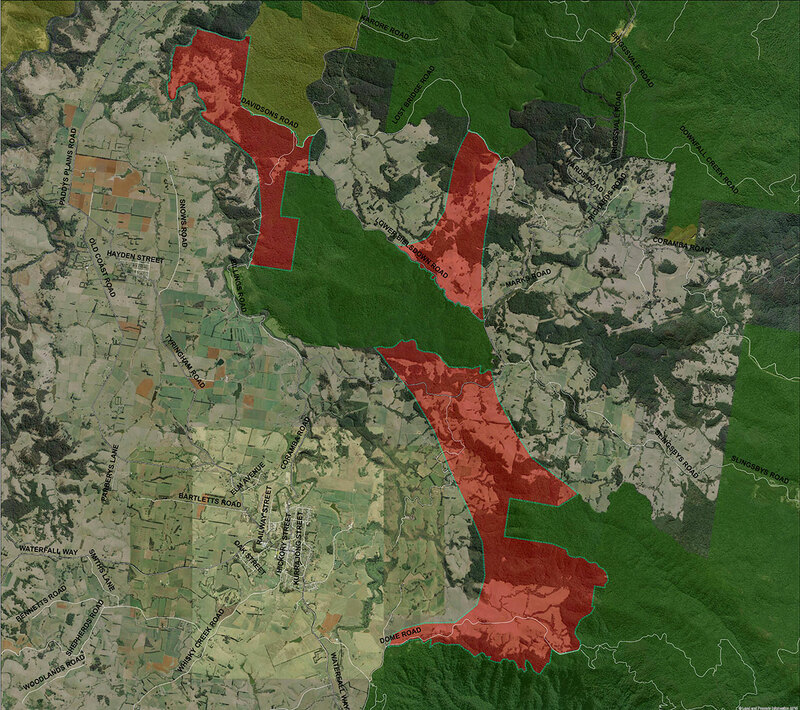 These reserves protect areas of high biodiversity value, and protect important populations of Dorrigo laurel (Cryptocarya dorrigoensis), Dorrigo waratah (Alloxylon pinnatum), Pink cherry (Austrobuxus swainii) and Dorrigo daisy bush (Olearia flocktoniae) as well as habitat for Sooty Owls (Tyto tenebricosa), Spotted-tailed Quoll (Dasyurus maculatus) and the Yellow-bellied Glider (Petaurus australis). 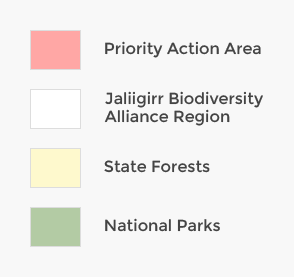 The Gondwana WHA connection also includes the Dorodong Indigenous Protected Area and is a focus connection for both the Jaliigirr Landscape Connections in the Great Eastern Ranges project and the Jaliigirr Connecting Communities and Cultures through Corridors project.